It was the first time for Trump the unpredictable president to address the United Nations, followed by a rare public appearance by a senior figure from Pyongyang. In between, other players, notably Prime Minister Shinzo Abe and South Korean President Moon Jae-in, spoke their piece, calling for pressure on North Korea. The U.S., Japan and South Korea held a summit in New York, where the leaders had gathered for the annual General Assembly debate. It was the first such trilateral summit in five years — a sign that the North Korean crisis was drawing the three allies closer together. 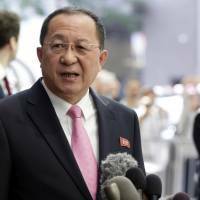 In his U.N. speech, Russian Foreign Minister Sergei Lavrov warned that the North Korean situation was “unfolding dangerously” and called for the resumption of talks. Wang Yi, the Chinese foreign minister, also called for dialogue and negotiation. Trump’s U.N. speech, in which he referred to Kim Jong Un as “Rocket Man,” met with an unprecedented personal response from the North Korean leader. Despite rhetorical onslaughts, North Korea has shunned direct confrontation with the U.S. After Kim threatened to fire missiles at Guam in August, Trump responded by threatening “fire and fury.” Subsequently, North Korea sent two missiles sailing over Japan, much to Tokyo’s consternation, to demonstrate that Guam was within its striking distance. The Trump-Kim exchanges have added a new dimension to the Korean nuclear crisis. In addition to pitting the world’s primary superpower against the North Korean upstart, it is now also a personal contest between an aging megalomaniac and a youthful dictator. The outcome may well be determined by China. However, U.S. Treasury Secretary Steve Mnuchin disclosed that he had “a very productive conversation” with Zhou Xiaochuan, governor of the People’s Bank of China, before the announcement of unilateral sanctions “in how we are going to work together.” Subsequently, it was reported that Chinese banks had been told to stop handling North Korean trade. If China wholeheartedly cooperates with the U.S., the impact on North Korea could be disastrous. But, mysteriously, after years of supposedly observing U.N. sanctions, China’s trade with North Korea has continued to rise. According to China, that is because sanctions are not meant to harm “normal” trade or affect ordinary North Korean people. Trump has to remember that China’s goals are different from his. While Washington would be happy to see the Kim regime collapse, Beijing prefers a more compliant Kim to remain. China can invoke the latest Security Council resolution, which says that it is “not intended to have adverse humanitarian consequences for the civilian population.” Of course, Pyongyang diverts resources to the military, despite its people’s needs. Whenever sanctions bite too hard, China can ease them, citing humanitarian concerns. This way, China will occupy a unique position. 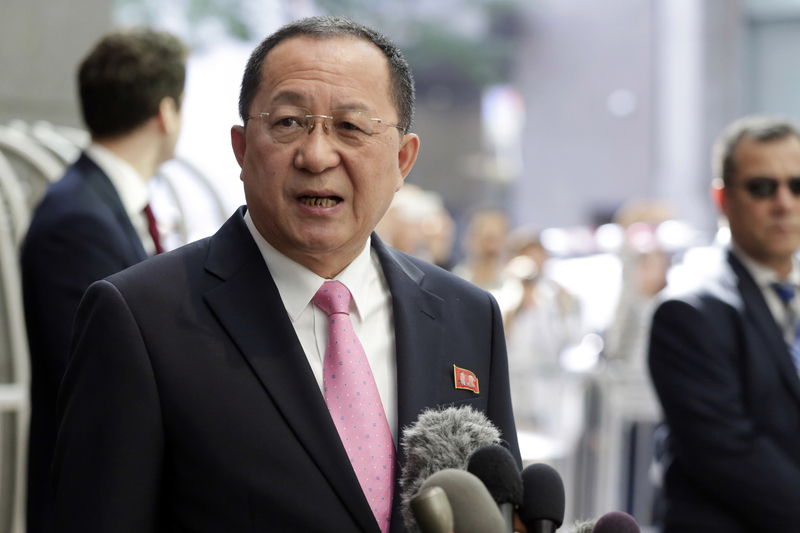 The U.S. will plead for its cooperation, possibly in return for other considerations. North Korea, meanwhile, will know that China can tighten the screws at any time to its political liking. Frank Ching is an American journalist and commentator based in Hong Kong who frequently writes on issues related to China.